I spoke with Tarun Pondicherry and Josh Chan, co-founders of LightUp, just two days after their successful Kickstarter campaign. They are both excited about the next stage of their journey, but where did it all begin? Tarun and Josh met at Stanford University, where they both attended “Beyond Bits and Atoms“, a course focused on “designing educational software, educational toolkits, educational toys, and tangible user interfaces.” Their professor, Paulo Blikstein, introduced them because of their shared views on making electronics more approachable for children. The pair came up with a concept and applied to HAXLR8R, a hardware technology accelerator that works with startups in an intensive program based in San Francisco and Shenzhen, China. There they made contacts and learned important lessons about going pro. Until HAXLR8R, Tarun thought they would manufacture their kits themselves, but he learned you can’t do everything by yourself. They got to meet with contract manufacturers and did a lot of groundwork on their product development. In May, LightUp participated in MAKE’s Hardware Innovation Workshop, where they got to talk to other innovators and demonstrate their prototype. Once again, they made valuable contacts and gained more experience presenting the value of their product. Josh said learning to communicate well and getting people to “join your vision” was one of the most important lessons he’s learned. They were also one of five entries accepted into the Pitches with Prototypes panel, where they had the opportunity to present their product to a group of industry experts. LightUp’s entry was awarded the win by the panel, and got to present to a larger audience at Maker Faire Bay Area. Josh and Tarun’s whirlwind journey continued at Maker Faire while they simultaneously began their Kickstarter campaign. As with many successful Kickstarters, LightUp had already generated a significant number of followers, who backed them when it counted. They were fully funded in about a week and met two out of three of their “stretch goals”. In June LightUp presented at the Interaction Design and Children (IDC) conference in New York. It was another valuable opportunity to work with children and education researchers to gain insight into their product design. Participants in their hands-on “Electronic Playground” activity got a chance to try LightUp themselves. 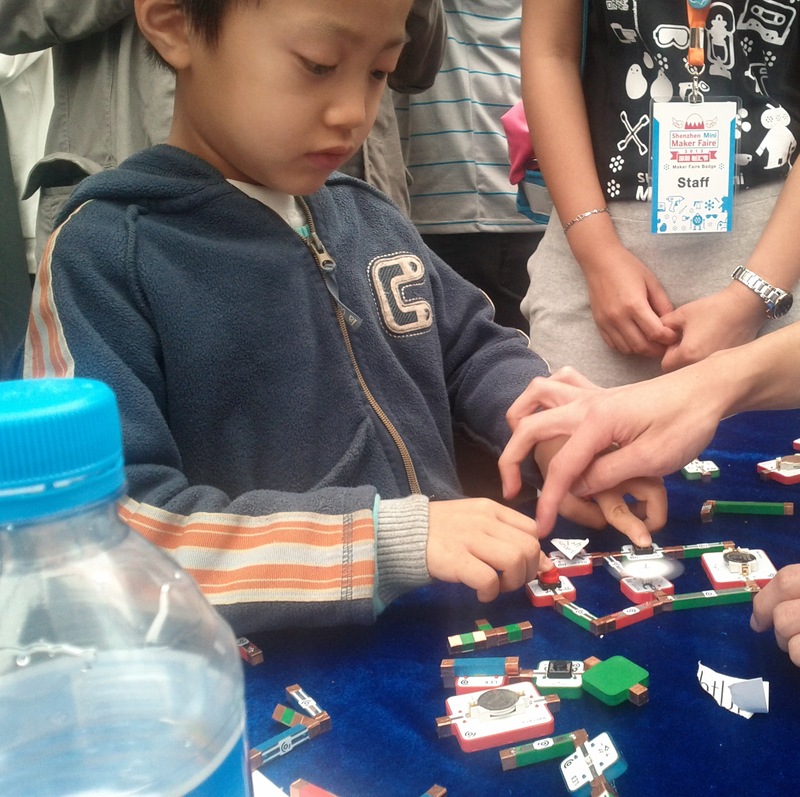 Kids enjoyed clicking together LightUp blocks to make circuits, which could also be programmed with LightUp’s Arduino module. So what’s next? With their Kickstarter funding in place, Josh and Tarun are focused on delivering what they promised. They are working to select a contract manufacturer. They’ve opened an online shop where they are currently taking pre-orders. 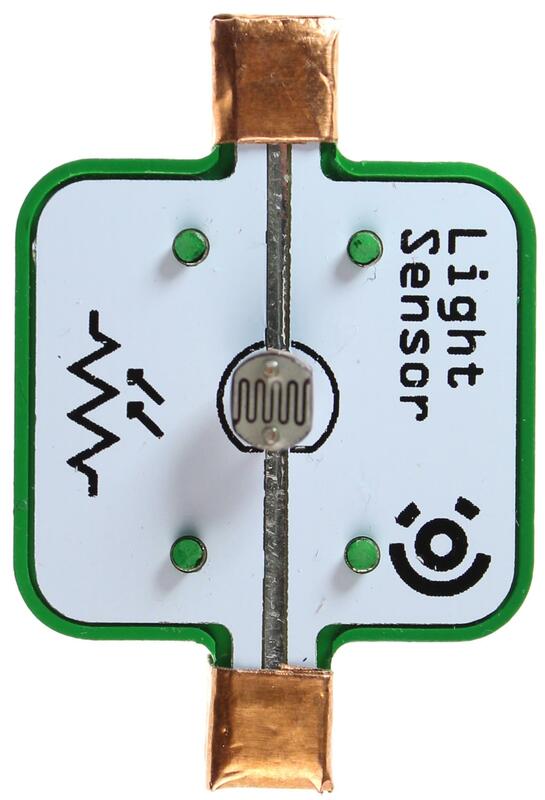 Backers and interested customers can communicate with LightUp via Twitter, Facebook, Kickstarter, and their website. It’s been an interesting journey so far. Along the way Tarun and Josh learned to attract and grow a supportive community and practical lessons to go from maker to pro. If everything goes well, they’ll have a manufacturer under contact and will start delivering product to their backers by December.